Adrian Lewin joined Turnbull Lawyers as a partner in 2015. He brings with him a wealth of practice experience and highly refined analytical and advocacy skills. 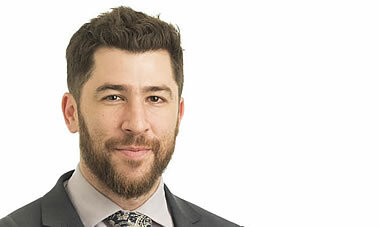 Adrian has practiced as a lawyer since graduating from Monash University in 2004, obtaining a Bachelor of Law (with Honours) and a Bachelor of Arts. He is an accredited specialist with the Law Institute of Victoria in Criminal Law. Initially working as a Commercial Litigator, in 2009 Adrian began work in criminal law and has practiced exclusively in this area ever since. In that time, he has demonstrated a strong commitment to the defence of his clients and consistently strives to achieve the best possible results. Adrian appears regularly as an advocate in all court jurisdictions and has a detailed knowledge and understanding of the criminal justice system. Adrian is passionate about protecting his client’s interest and utilises his extensive experience in both Commercial and Criminal law in the conduct of his cases. Adrian has had particular success in appearances for clients charged with summary contested hearings and as advocate in his many County and Supreme Court matters.